You know the saying "Don't choose someone you can live with, choose someone you can't live without" has obviously never spent 5 full days, 24/7 with the same person. Haha okay, I kid..
Z and I love trying new things together as a couple and we (just Z actually) loved the idea of being disconnected from the world. It was our first cruise trip together and it was everything we imagined it to be. 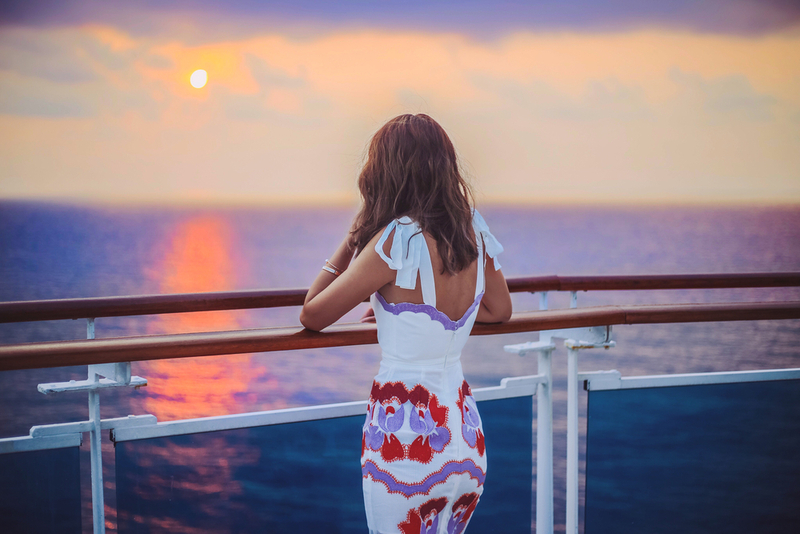 Our experience on Sapphire Princess was luxurious, romantic and nothing short of amazing. Note: Sapphire Princess will be replaced by sister ship Diamond Princess this November, offering new experiences such as an Izumi Japanese bath (largest Japanese Bath at sea) and a Kai Sushi concept restaurant! 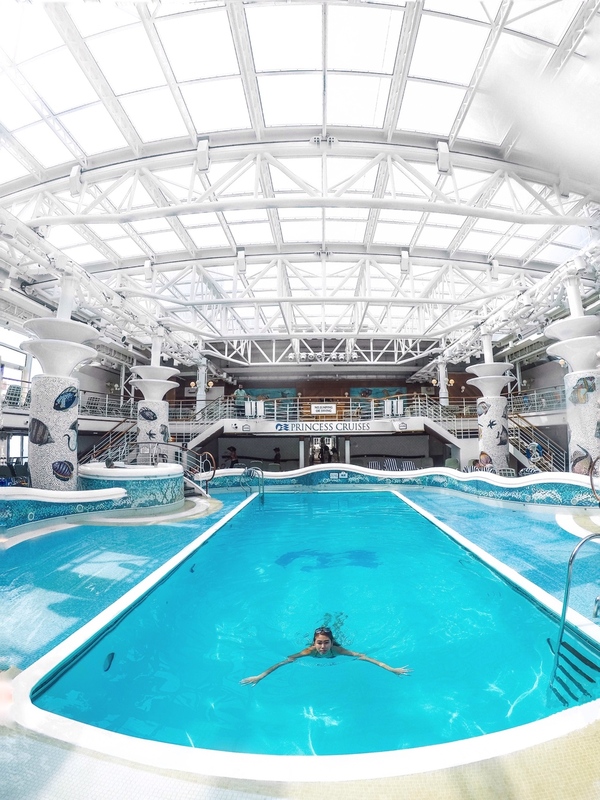 When you're aboard the Sapphire Princess, you can't go 5 days without taking a dip in at least 1 of their 5 indoor & outdoor pools! Aren't these #poolgoals? To me, the main draw factor of a cruise is that you get to travel in style instead of just jumping on a short flight to a nearby country. 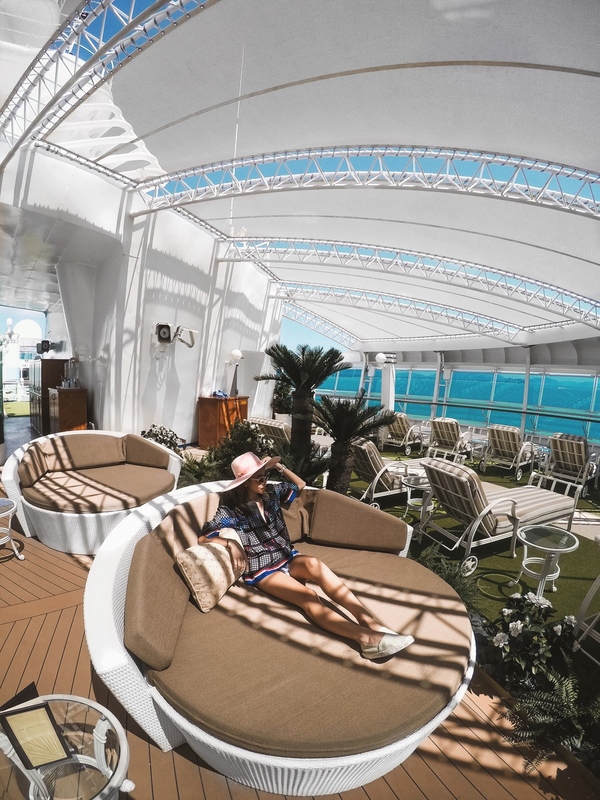 Our cruise experience with Princess Cruises proved to be so much more rewarding when you get to sail to your destination i.e. 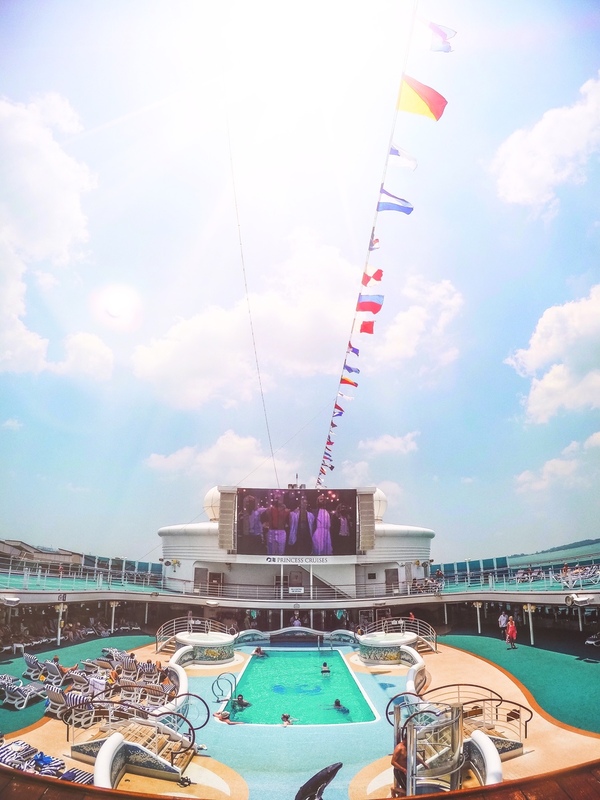 livin' the cruise life. Laem Chabang was the Sapphire Princess’ first port of call on Day 2 of our trip. After learning that it's home to the magical Sanctuary of Truth, we decided on a day trip out! We were in awe of the architecture and magnificence of the Sanctuary of Truth and were rather impressed that no nails were used in the process of building it! In the end however, the heat got slightly unbearable once we were outside the Sanctuary of Truth, so it'll be wise to wear something comfortable and of breathable material as it can get quite humid. Back on the cruise ship after the shore excursion,After our Laem Chabang day trip back on the cruise, we witnessed one of the most romantic sunsets and were so thankful to be able to experience and dance under the magical sky! Date night was also made possible as we cozied up at one of Sapphire Princess’ specialty restaurants – Sabatini. FYI, Sabatini can also be found on the Diamond Princess, but do try out the Kai Sushi concept restaurant and eat on my behalf! One extra tip: Be sure to pack at least 1 semi-formal dress as the restaurants require you to dress according to their dress codes! Day 4 saw us exploring our second shore excursion stop - Ko Samui. As we've heard so much about their pristine beaches, we hopped on a rented scooter and drove around the island to explore! I'll suggest wearing something that's more casual and perhaps a bikini inside in case you'd like to take a dip in their incredibly clear waters. 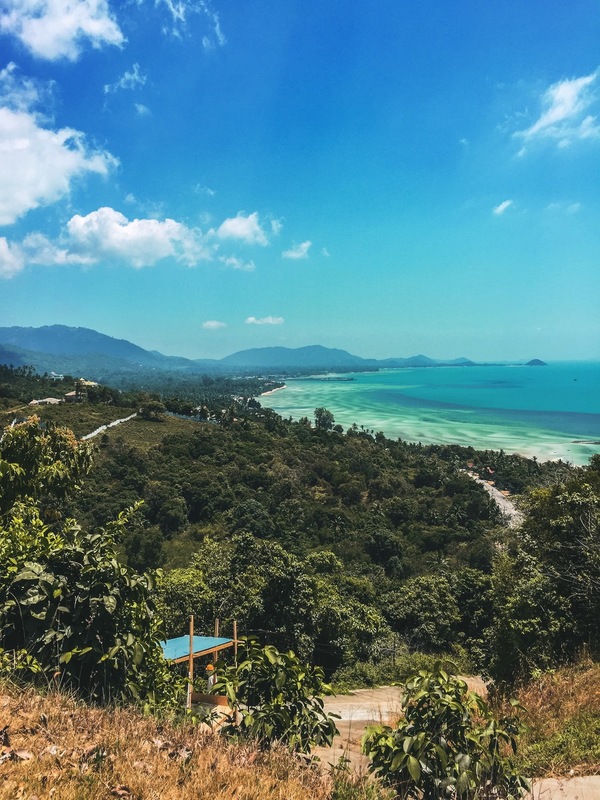 Shorts are also highly recommended so it would be scooter-friendly :) If you are sailing onboard the Diamond Princess, you will also get to visit new ports-of-call in Kota Kinabalu and Lombok! Feeling like we've accomplished quite a lot of our cruise trip, we made our way back to the ship and checked ourselves into The Sanctuary for some peace and relaxing time to ourselves at the adult-only spa. For passengers on board the Diamond Princess, be sure to check out the Izumi Japanese bath, which transports you to the tranquility bathhouses of Japan. We figured we could squeeze in one more date night on our last night on board the Sapphire Princess Cruise so we pulled up some deck chairs, held hands and watched the sun set before ending it off with yet another romantic dinner. It was truly a surreal experience and I can't think of any other way we could've ended our maiden cruise trip! This post was created in collaboration with the Singapore Tourism Board and Princess Cruises. 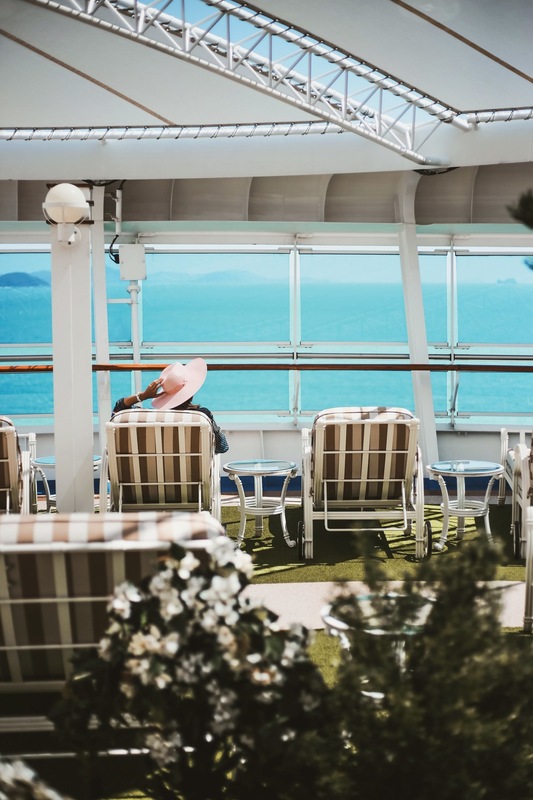 If you'd like to explore a cruise option for your upcoming trip, feel free to visit Princess Cruises' website for more information. There are various date of calls in Singapore starting from 26th October 2016 to 6th April 2017.